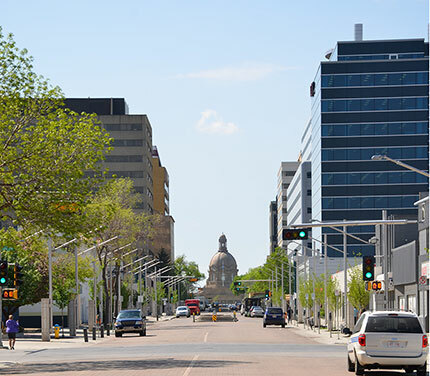 Capital Boulevard extends between the Legislature Grounds and MacEwan University (108 Street between 99 Avenue and 104 Avenue). The boulevard is a visual and physical extension of the Legislature grounds, extending into downtown Edmonton. The boulevard acknowledges and celebrates Edmonton as the capital of Alberta. The streetscape was completed in 2014. Capital Boulevard is one of the catalyst projects of the Capital City Downtown Plan and advances the goal of creating a vibrant, well designed, sustainable and accessible downtown. The enhanced appearance and improved walkability contribute to making the downtown an attractive place for working, living, learning and visiting. 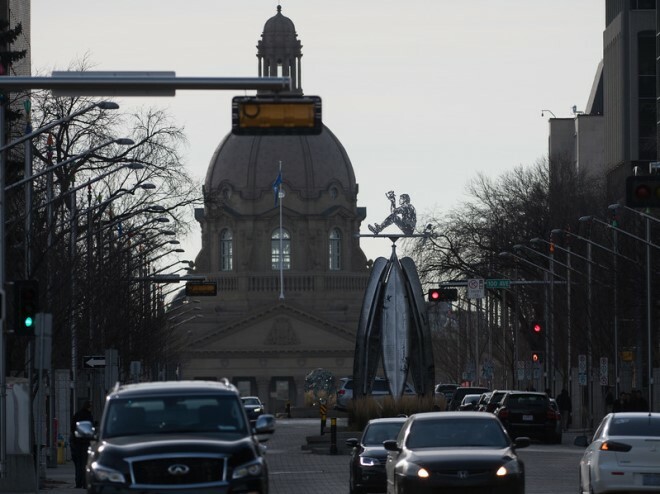 Decorative pieces mounted to the top of the streetlight poles were designed by Keith Walker through the Edmonton Arts Council’s Percent for Art Program and were installed in November 2014. In recognition of Canada's 150th anniversary of Confederation, five sculptures were installed in 2017 - one on each mid-street island between 99 Avenue and 104 Avenue. The project was funded by the City of Edmonton, the Government of Canada, the Alberta Foundation for the Arts, the Downtown Business Association, and The Works Society. Additional information on the sculptures is available on The Works' website. A dynamic downtown is a key ingredient of a great city.